Not Verified | Terrible facilities & barely any customer service. We have spent 9 hours of transit today in the airport and we had trouble with buying coffee from vending machine to using the shower facilities. Vending coffee machine only accepts Dirham and Only in 1 Dirham coins! No one is responsible to provide you the coins (you have to magically find some) and no clear instructions. After all the trouble we went through, the coffee was hopeless, I through half of it out. FYI, a very average coffee (which we buy 4 AUD in Melbourne) is 7 AUD in this airport. Shower facilities: there is only 2 showers in each facilities at each end of the airport. One standard and the other one disabled, not mentioning that the guys one were both locked! NO soap, no towels and np shelf for disabled shower. The showerhead was terrible and was splashing water everywhere during the shower. Prices are generally goes to the roof (including food and accommodation), and for any purchase, even a small milk, they would ask for your boarding pass! ( I do not want to give them consent to collect my information, merely because I needed a bottle of milk). I think our 9 hours transit couldn’t be less impressive that this. I do my best not to book my flights through this airport, again. 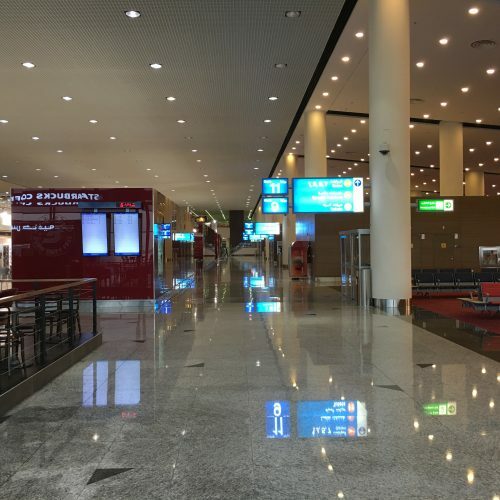 "staff much more attentive that at DXB"
✅ Trip Verified | Went to Dubai for business with my wife and got a flight to Al Maktoum International (DWC). Brand new airport, parts of it still in construction. Much easier than DXB to go through, has less shops though. Not much variety for eating but enough for duty free. Airport staff much more attentive that at DXB, this to be expected though considering the traffic volume is much less than DXB. Only downside is that it is far away from downtown Dubai - if got business there. I would give a high score as it is a brand new airport and facilities are improving all the time. A pleasant experience overall! 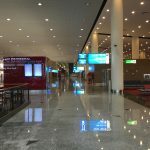 "no queues for immigration or security"
✅ Verified Review | It is envisaged, which in Dubai means it will happen, that Dubai World Central will be the principal airport in the Emirate. Presently, however, it has more in common with Bristol Airport circa. 1985 with only a few airlines regularly using the facility, most notably Qatar. 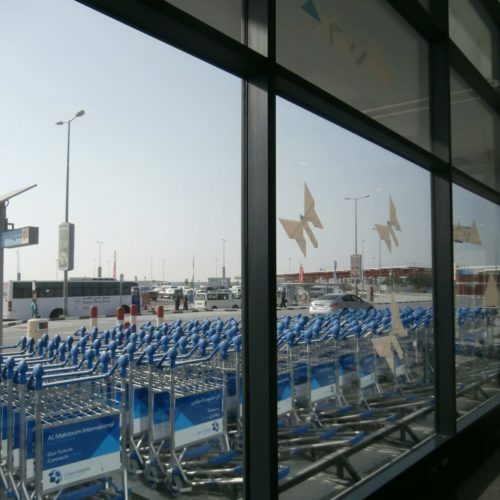 Nevertheless, providing you have no interest in over-priced food - there is a McDonalds, Costa Coffee and a small restaurant - and (not) duty free shopping, DWC offers multiple advantages over Dubai's present main airport. Of note: the drop-off is immediately next to the terminal entrance - no long walk to check in, and no queues for immigration or security. One downside is the lengthy bus ride from the gate to the aircraft. Notwithstanding, with few aircraft, departure was fifteen minutes ahead of time. If using Qatar, why bother with the frantic DXB or creaking AUH. ✅ Verified Review | Worst airport in over 100 airports I have been. It is incredible, we spent over one hour when arriving and almost 2 hours (1 hr 50 to be precise) when departing. The staff are awful, they have no respect even for parents with infants or people with disabilities. A young girl in a wheelchair had to wait for over one hour at the check-in counter alone. One reason we will never come to Dubai again is this airport. "it is a joy to use"
I live in Dubai marina and this is a fantastic option to travel from. Small, quiet, check in to boarding in 5 minutes. 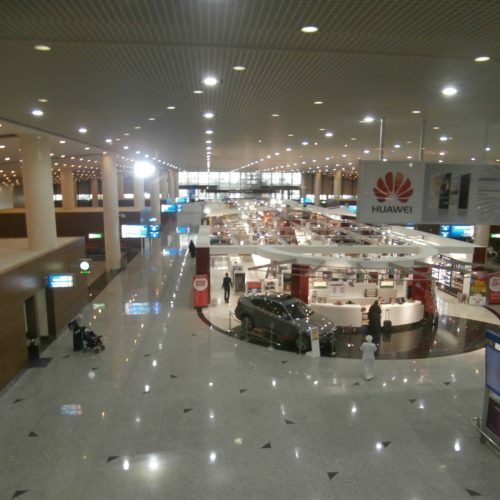 It's still in its infancy before being ramped up to being a hub but it is a joy to use compared to big, busy DXB. Bags are always office in minutes and you sail through immigration. 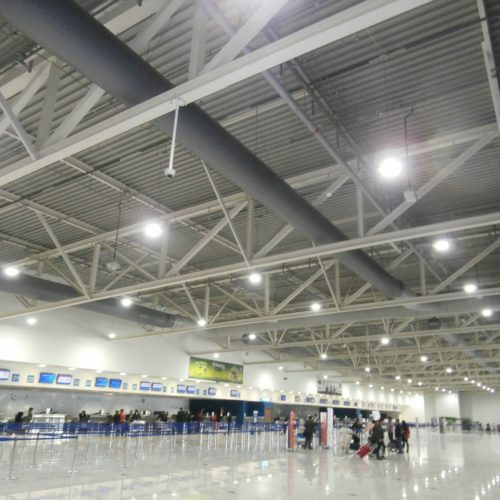 A wonderful airport, very cosy and friendly. The only drawback as it is vast it has very long walking distances. The design is very Dubai in style - elegant with an affordable Duty Free. You can buy almost everything in very low prices. Definitely a very nice airport. Used DWC to leave Dubai to Doha and beyond to Europe. Airport is a very long drive from Dubai's main hotels, unless you are staying in Dubai Marina or Jebel Ali, but also then a 40 min drive. 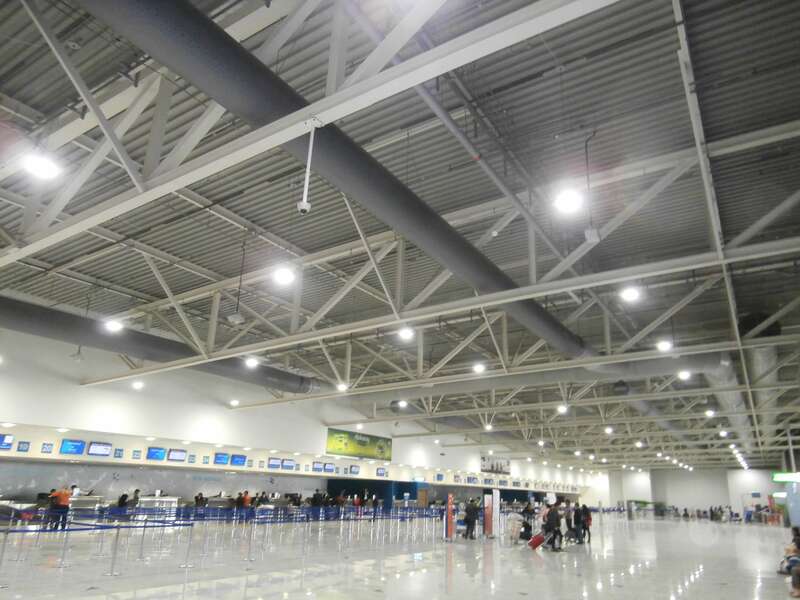 The airport was virtually empty with only 4 flights leaving between 11pm and 7am. Oversized facilities, empty feeling, restaurant and duty free staff just sitting around and playing on their smartphones. Boarding is with buses from the terminal. Will avoid even if no queues, for me part of the travelling is the "buzz" of an airport. The airport is so confusing. I almost missed my flight. I had to walk a lot. There was no gate written in my boarding pass for my connecting flight so I had to check the monitor from time to time in order for me to find out the gate I would go to, it was exactly 30 minutes before the flight when the gate finally showed up and I still had to take the bus, and when I arrived to the stop, I had to walk more so I just ran because I was about to miss the flight and arrived to the gate 2 minutes before it had to close. "shortest ways you can imagine"
Travelling to Dubai can be done in 2 ways. 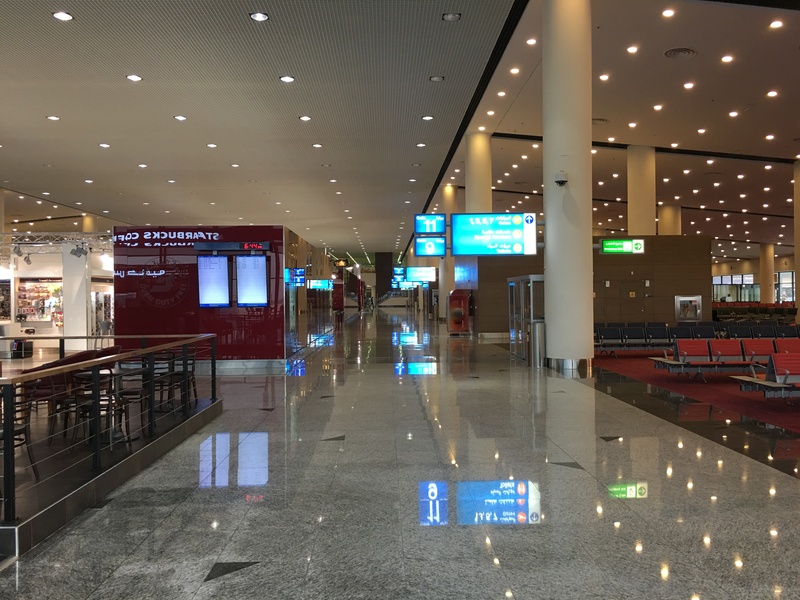 Via the extremly large and crowded DXB airport with its endless ways to walk - or via the quite new Dubai World Central Airport (DWC). There you find the shortest ways you can imagine for an international airport. From the free and empty car-park to the gate it took me some 200m and 10 Minutes - included check-in, security and passport-control. DWC is on the south end of Dubai and, when starting the trip in Jumeirah, Ibn Batuta or Jebel Ali, it is really worth thinking about this option. With outstanding Qatar Airways, you can get everywhere from there via DOH.